Remus -- mysterious sister world to Romulus. A planet where hope surrendered to darkness long ago. A planet whose inhabitants have been without a voice for generations. But that's about to change. Earth -- home to Starfleet, where the crew of the U.S.S. Enterprise NCC-1701-E, gathers at the crystal blue skies of an Alaskan day to celebrate the wedding of Will Riker and Deanna Troi. The joy of the day is overshadowed only by the knowledge that this is the last time they will all be together, as soo-to-be Captain Riker and his ship's counselor, Deanna Troi, will shortly be departing for their new ship. Captain Jean-Luc Picard and the Enterprise crew are suddenly diverted for the unexpected diplomatic mission to the planet Romulus. Longtime enemies of the Federation, the Romulans have expressed their desire to initiate negotiations that will hopefully lead to a long-awaited unity in the galaxy. 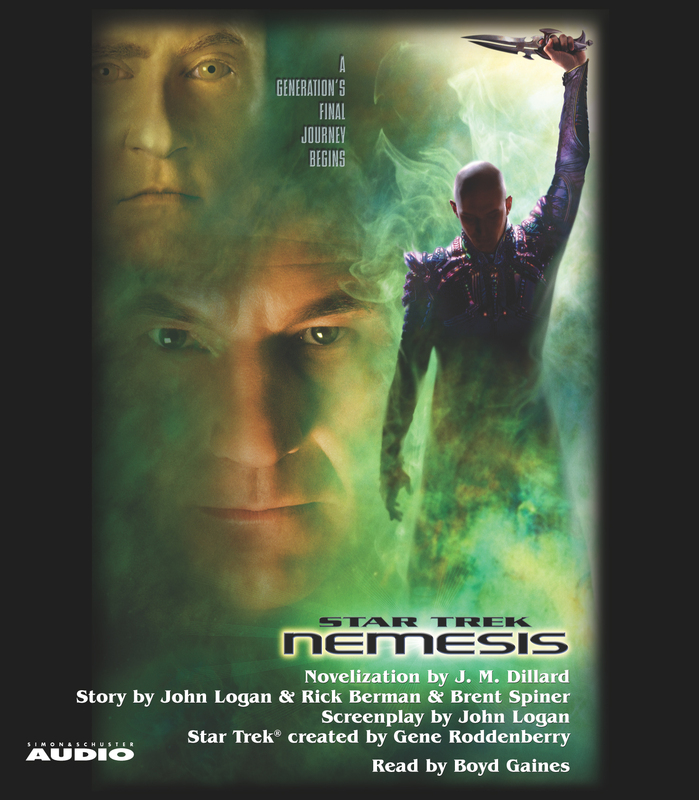 But upon their arrival on the Romulus, the Enterprise crew is faced with the threat that could lead to the destruction of the planet Earth, and Picard comes face to face with a man who may prove to be his most dangerous adversary yet...and a surprisingly personal nemesis.